Located on the beachfront, our Premium Beachfront Fales are the accommodation of choice for many of our guests and it's not difficult to see why. 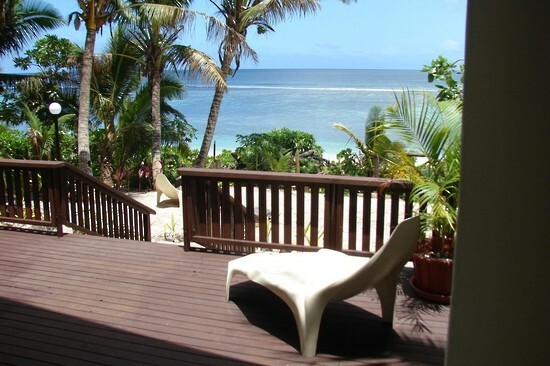 Step out of the fale and you'll be basking in the mesmerising view of the South Pacific Ocean. Relax on our comfortable outdoor recliner chairs as the sound of the waves lapping against the shore slowly lull you into a peaceful afternoon nap. Equipped with a private ensuite, these fales feature a super-king double bed (or 2 x king size singles if twin accommodation is required), a comfortable leather sofa, and are fully insect screened. Each fale has a covered veranda with outside furniture which extends onto an open timber deck area commanding a magnificent view overlooking the beach, lagoon and cobalt blue Pacific beyond. Comfortable recliner chairs are available on the deck area. 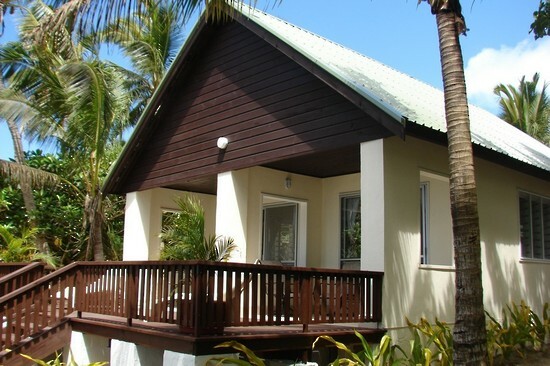 Minimum stay of 5 nights in high season and 3 nights in low season months for all accommodation styles. Tariffs quoted are double occupancy rates but single, triple or quad occupancy rates are available on request. 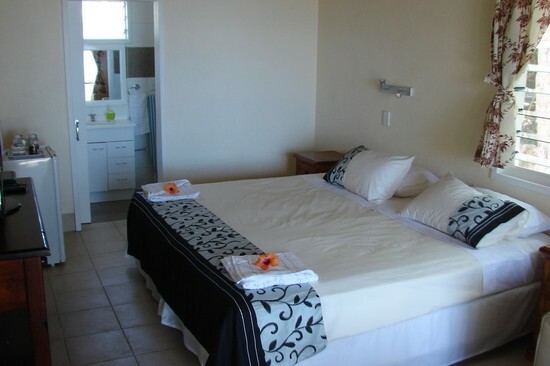 All our accommodation rates include full breakfast in the morning, buffet dinner in the evening, all govt taxes (incl. gst) as well as a variety of resort activities and services. *Free guest transport available only when resort vehicles travel to town. Sorry but this service is not available "on-call"
We provide all bed linen ie. sheets, pillows/pillow cases, and doonas as well as bath towels and mosquito nets. Our friendly staff will clean and service your fale daily with bed linen and bath towels being changed every second day. A laundry service is also available for your convenience at very reasonable cost. 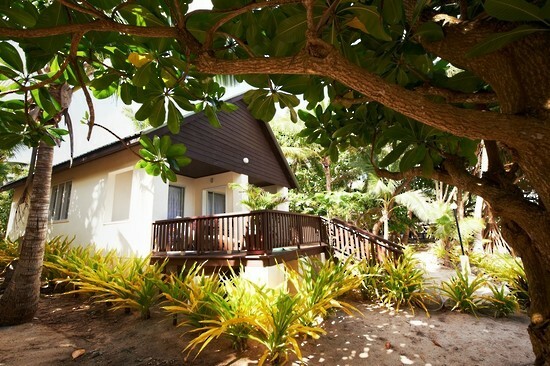 Set amidst a manicured tropical garden, our standard fales are equipped with a queen-size double and/or king-size single beds. 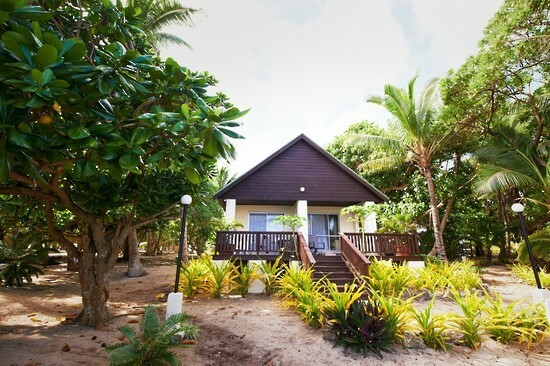 We offer both beachfront and garden family fales which accommodate couples with up to 4 children. 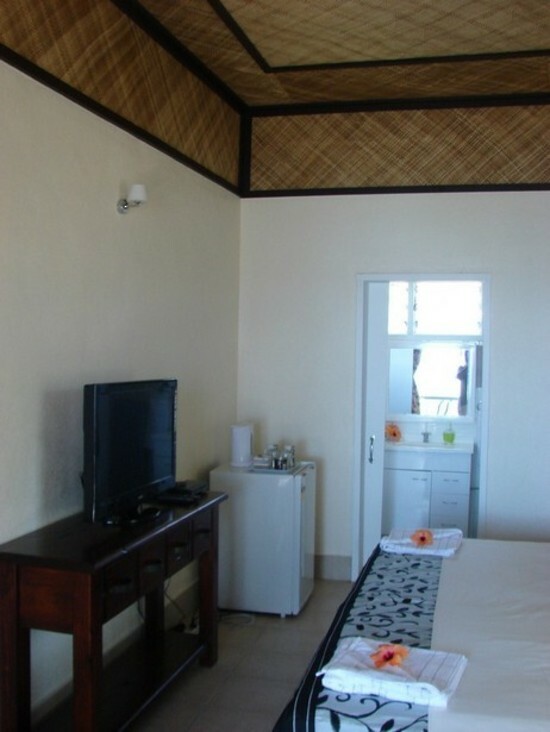 © Copyright 2013 Haï¿½atafu Beach Resort. All rights reserved.